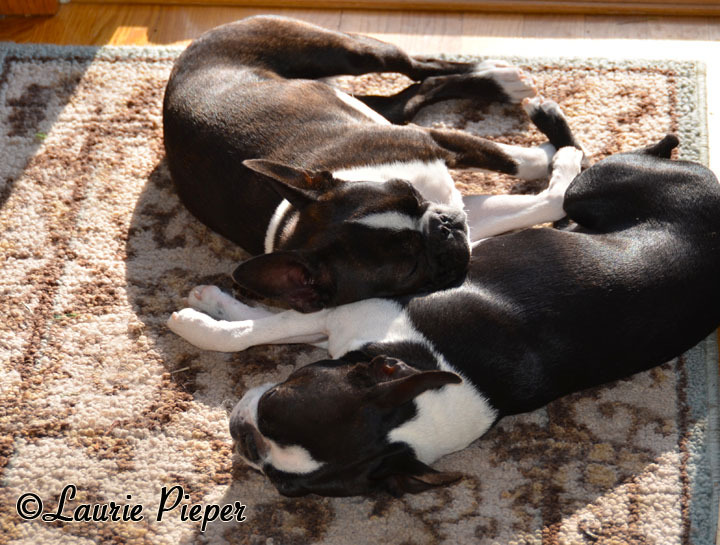 This entry was posted in Gone to the Dogs and tagged Boston Terriers, Dogs, Photography, Postaday, Weekly Photography Challenge. Bookmark the permalink. We actually have 3 Bostons and they all love to snuggle. It’s just hard to get a picture of all 3 sleeping together. I always wake one of them up. They are sweethearts. They are very sweet together.